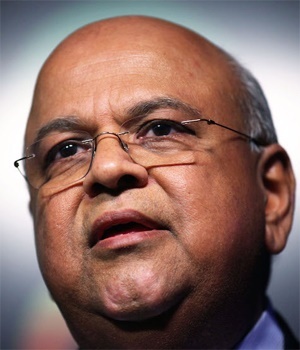 Cape Town – Finance Minister Pravin Gordhan conceded that the last-minute proposal to amend the tax changes will be very costly for businesses and will need to be finalised quickly. “There must be certainty for the industry and employers/employees for what will happen on and after 1 March 2016, as systems need to be changed which is very costly,” Gordhan said in a document dated February 16 and sent to industry members. President Jacob Zuma’s government was forced to backpedal on provisions in the Tax Amendment Act that compel South Africans to put two-thirds of their provident fund savings in a retirement annuity. This followed a threat from the Congress of SA Trade Unions to pull their support of the African National Congress ahead of the local government elections this year. The tax provision meant that retirees would be allowed to take only one-third in cash, while they are currently entitled to the full amount. “Government is flexible on the implementation of annuitisation for provident funds, and proposes to postpone implementation for two years, from 1 March 2016 to 1 March 2018,” the Treasury said. When President Jacob Zuma signed the Taxation Laws Amendment Act late last year he wasn’t aware of Cosatu’s objections to the provident fund proposals, Minister in the Presidency Jeff Radebe told journalists on Thursday morning. All tax related measures, including the harmonised 27.5% tax deductions (up to R350 000) on contributions to any retirement fund, will still be implemented for all retirement funds from 1 March 2016, said Treasury. However, Treasury said they will find a formula that will allow a “technically appropriate way to allow the tax deduction to provident fund members for two years”. The Treasury said it will have to go to Cabinet and Parliament to determine how to proceed in the most efficient way. “We will then make an announcement in the Budget and look for a quick process in Parliament,” they said. It also warned against tax abuse as a result of the last-minute changes.